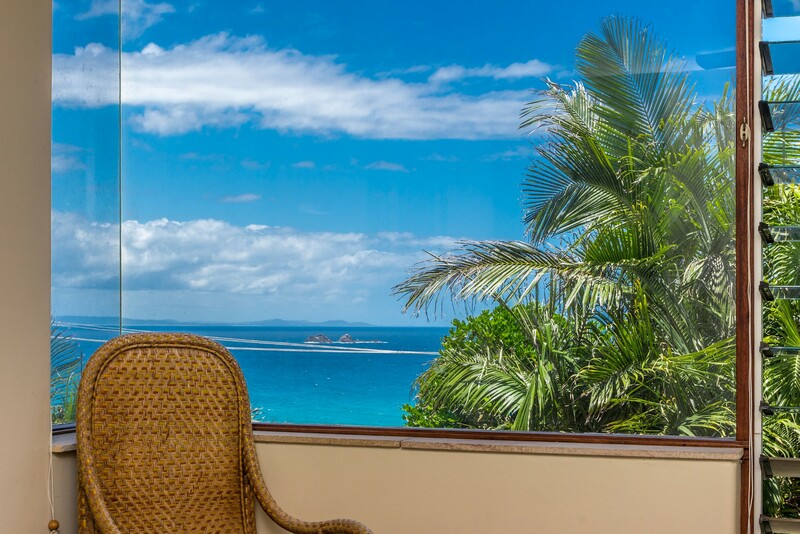 Wategos Retreats Apartments is the perfect Byron Bay holiday rental for those who want an unforgettable location. 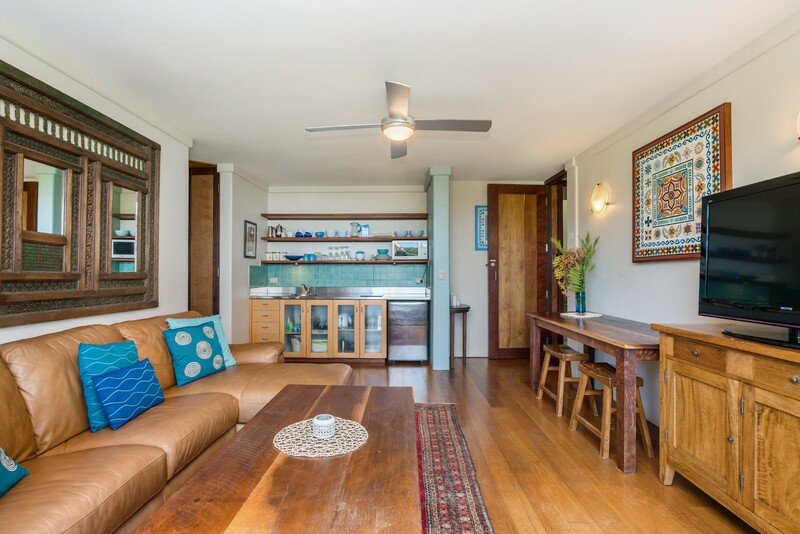 Perched on Cape Byron Headland just beneath the landmark lighthouse, this cosy one bedroom, one bathroom apartment is 300m from the nearest sandy beach where you can easily laze away the days in the sun. Enjoy al fresco breakfast, sundowners and snacks on your own private balcony. It’s like viewing the panoramic ocean and coastal views from the bridge of a ship! 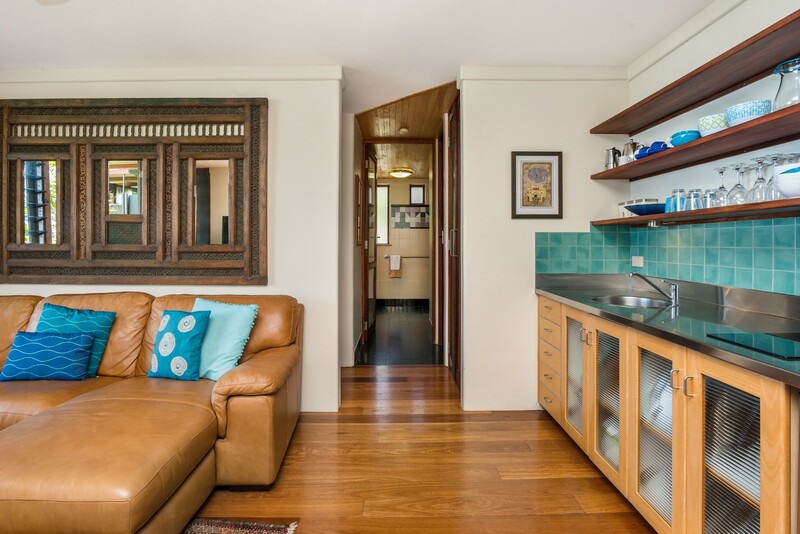 You’ll find everything you need for chilling out, including a kitchenette for preparing snacks, drinks and meals. 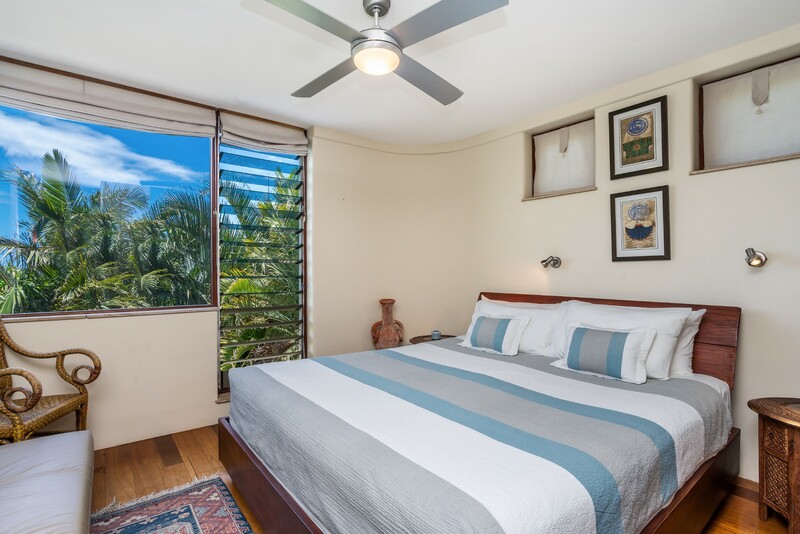 Wategos Retreats consists of two adjacent properties - a studio and an apartment, making it a great place for two couples wishing to get away together but still have their own privacy. 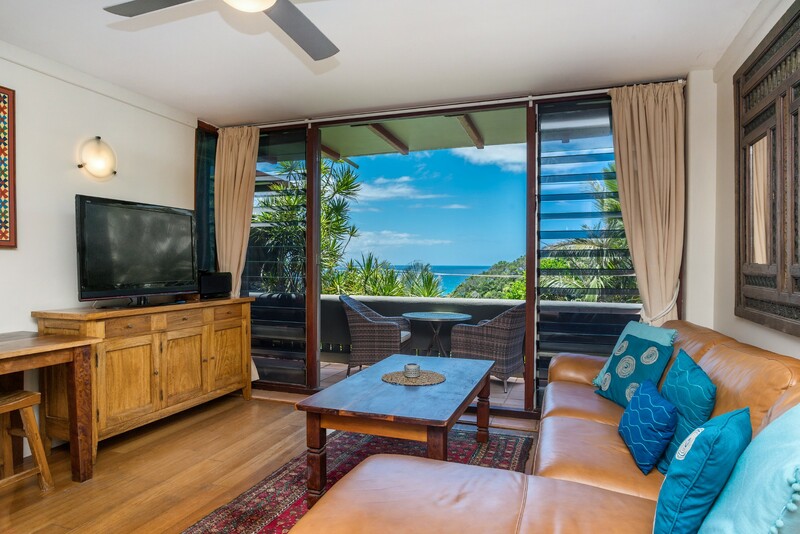 This Wategos Retreats Apartment has a little more space than the neighbouring Studio, allowing guests to spread out and enjoy the stunning views and sounds of the waves through large picture windows. Take breakfast at the small dining table or out on the terrace and enjoy the peaceful surroundings as you gaze out to the far horizon. After dark, curl up on the leather sofa, fling open the balcony doors and enjoy soft ocean breezes while watching TV or listening to music. The kitchen is well equipped for preparing light meals and drinks with an under-counter refrigerator, microwave and shelves filled with glasses and crockery. Retire to bed in the separate bedroom which has a queen-size bed with quality bed linen. 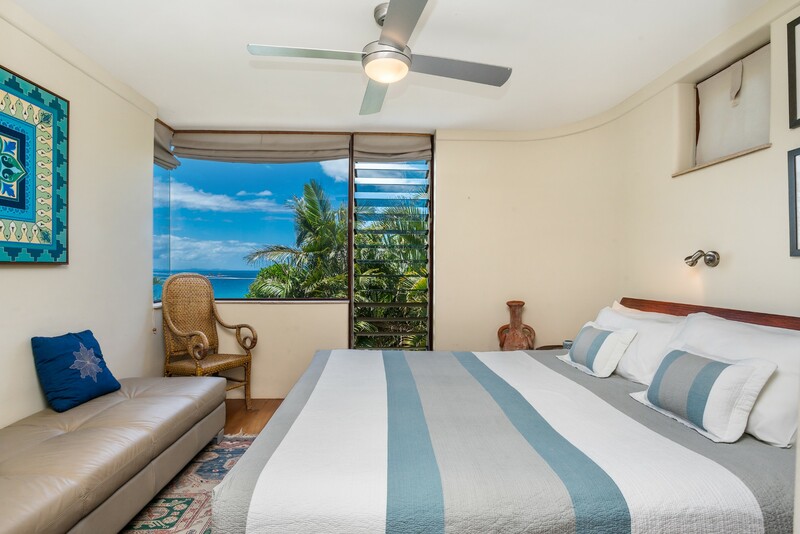 Awake to ocean views and distant sounds of the breaking surf through the breezy jalousie windows. 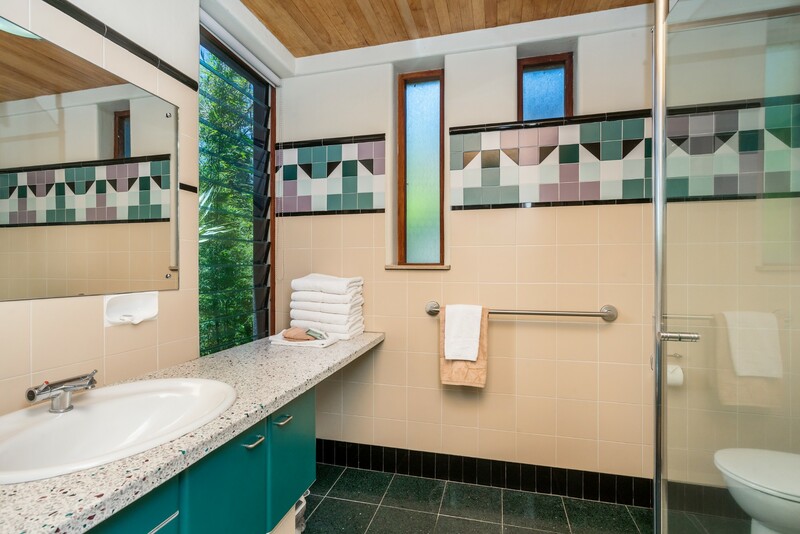 There is a ceiling fan and a separate modern bathroom with shower. 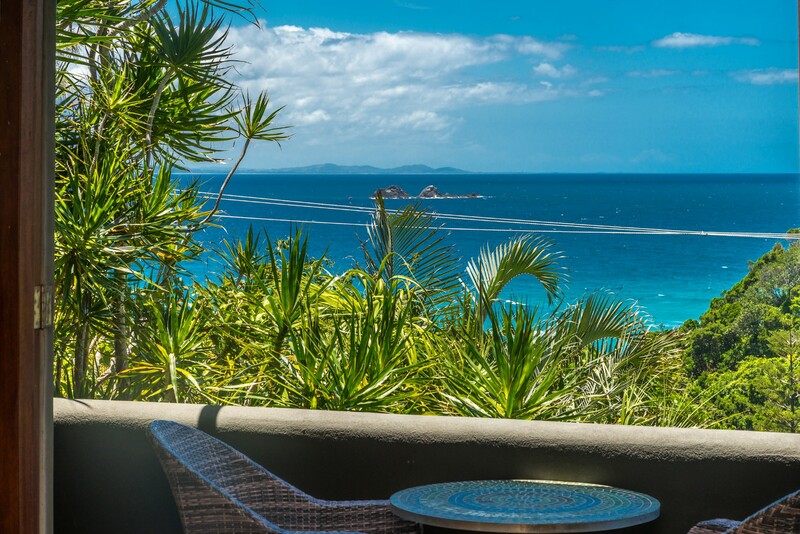 The balcony is the prime location for whale watching, quiet reading and star-gazing. It is furnished with a table and chairs for al fresco dining. 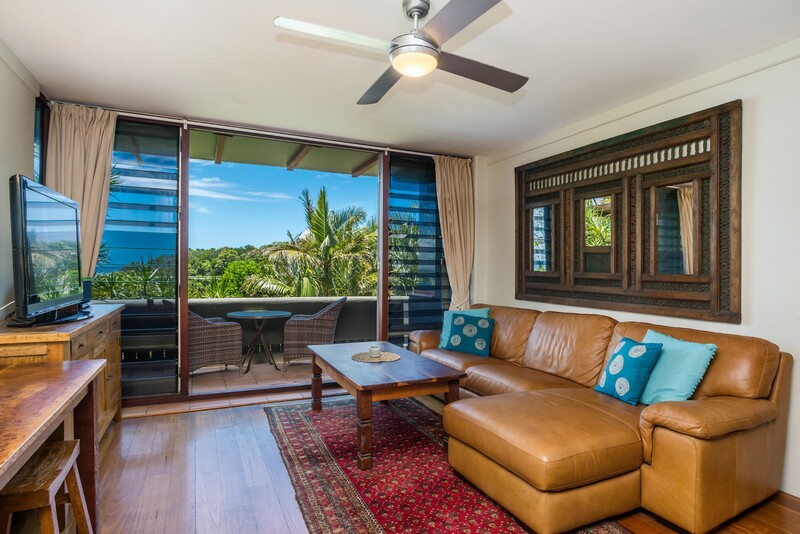 On-street parking is available at this Byron Bay holiday apartment with a Locals Parking Coupon (provided). 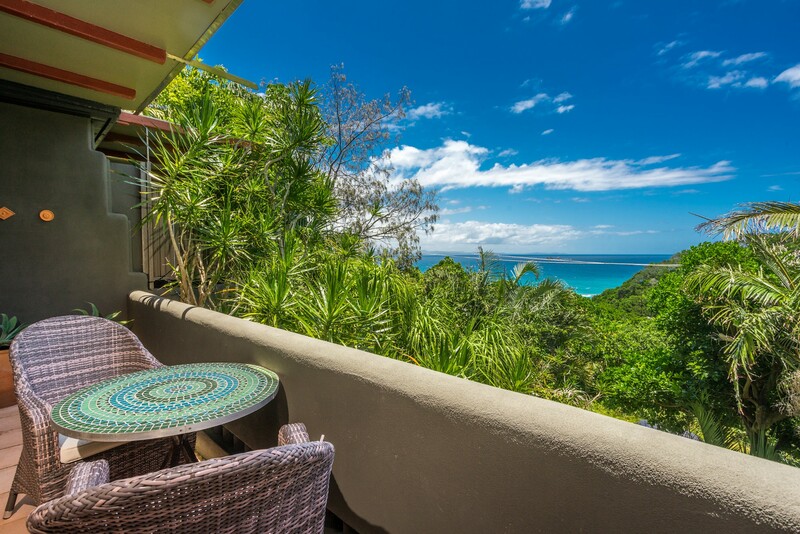 This enviably located Wategos Retreats Apartment rental on Cape Byron Headland is nestled beneath the historic lighthouse and 300m from the nearest quiet sandy beach for swimming and surfing. The 3.7km Lighthouse Loop walking trail runs nearby and provides superb views in all directions from this easternmost point of Australia’s mainland. If you can tear yourself away, Byron Town shops, bars and cafés are a 3-minute drive away. You may prefer a gentle amble which takes around 20 minutes. Nearby attractions include the Arakwal National Park with its long sandy beach and wildlife. Diving and snorkelling can be enjoyed at Julian Rocks Marine Reserve, about 3km north of Cape Byron. Escape to the Hinterland for a day and discover quaint villages such as Federal and Bangalow in their own time warp – a great place for dining, shopping and browsing local art studios. Great property in quiet location. The photos and description are completely accurate. And the view is fantastic. This is a hidden gem in Wategos. 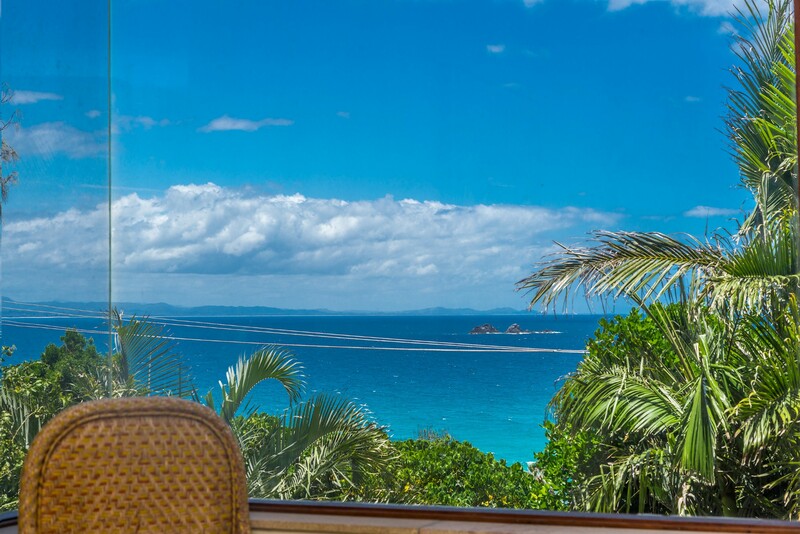 Walking distance to the best beach in the region, a quick 5min drive to the bars and restaurants in Byron. The apartment was very well curated, beautiful views, the owners very kind and helpful. Totally recommend it. A Perfect Stay was overall a great experience for me. I booked at last minute and was very lucky to find a beautiful place to stay thanks to Eleni. She was positive, friendly and really made the booking experience fun! The apartment at Wategos was truly a retreat - so peaceful (loved going to sleep at night listening to waves), very comfortable, homely and everything we needed. Our hosts were helpful and made us feel welcome. All in all a great experience.